Microsoft has just announced a new developer contest that should make things very interesting both for developers and regular consumers who use their apps every day. The contest, entitled “Windows Phone Next App Star Competition”, will offer up over $1M in prizes to 64 winners but it’s the top spot that should gain the most attention. 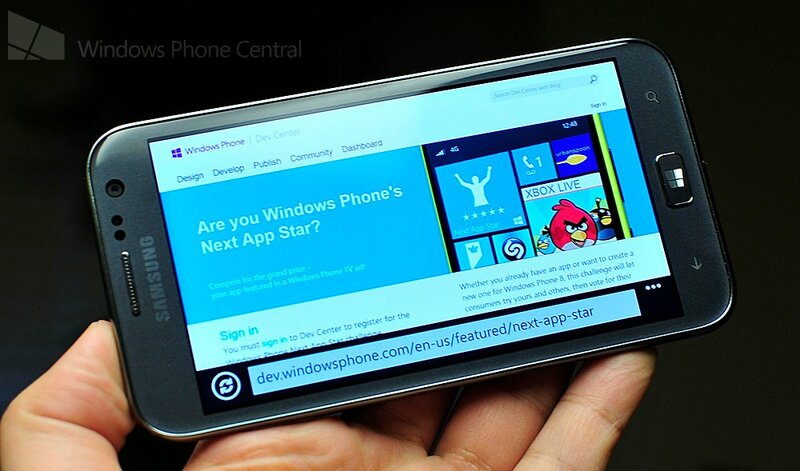 Should you win the #1 app, Microsoft will feature your creation on a TV commercial featured in primetime. Any app in the Store is eligible worldwide…whether they are brand new or have been on the platform since day one, but only user ratings of the app after March 5th will count towards the contest. Microsoft will then select the top 64 apps with the highest rating and those will go to the “playoff round” where users worldwide will vote for their favorites i.e. think of sport playoff brackets, where two apps go in and one goes on to the next round of voting. As mentioned earlier, the top winner gets the TV spot, which admittedly is a heck of an award. But those other 63 challengers don’t have much to fear as they can win numerous other prizes too, including Lumia 920, free 1-year developer accounts, online media presence and more from Microsoft. We spoke with Senior Director, Windows Phone Apps Team, Todd Brix, earlier today about the contest and he noted how Microsoft is doing this contest for two main reasons: (1) to thank developers who have committed to making top quality apps for Windows Phone and (2) make customers aware of some of the most amazing apps for their new Windows Phone (or if they were considering buying one). Brix also highlighted the fact that developers have seen a 100% increase in app revenue and downloads within the last few weeks, no doubt due to the Windows Phone 8 bump from the holidays. That momentum is worth highlighting as are the best apps for our phones.